India appears to be the hottest destination for top global CEOs this year. After Apple’s Tim Cook, Google’s Sundar Pichai, and Uber’s Travis Kalanick, Airbnb CEO Brian Chesky has landed in India. He’s here to launch the company’s Trips platform, which will let users discover secret spots and experiences recommended by Airbnb hosts. And Chesky seems to be enjoying an authentic Indian experience himself. 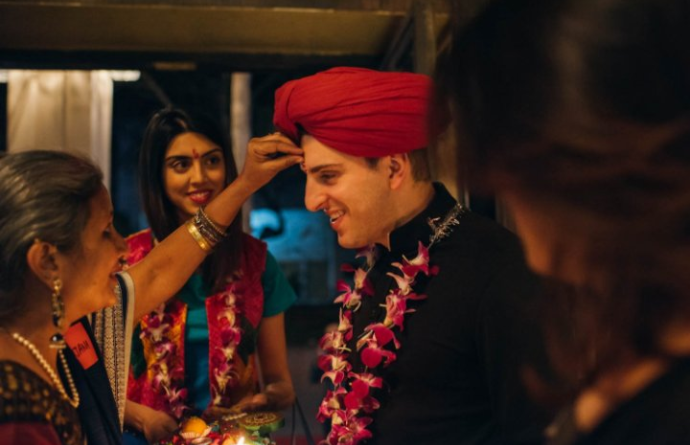 At an event organized by the company, Chesky was dressed in a black bandhgala, topped with a bright red turban. He was welcomed with a garland and a traditional tikka. Chesky then took the stage to announce the launch of Trips in New Delhi. Airbnb users in Delhi will be able to book 15 local “experiences”. An experience could be a visit to the workshops of designers Shantanu and Nikhil, who will take participants through their journey of style, or a visit to the studios of jazz musicians, where participants will be able to the creative process that takes place behind closed doors. Airbnb had launched Trips in November 2016, and has 800 experiences listed globally on its platform. Airbnb Trips currently offers custom-created experiences, but the company seems to want to enable users to discover the cities around them, so it’s not impossible that they foray into the competitive event discovery space going forward. India is still a small market for the company’s bed-and-breakfast business, accounting for less than 1% of its global bookings, but it’s made rapid inroads. Airbnb is becoming increasingly popular among upwardly-mobile Indians, and the company has also managed to create a vibrant community of hosts in the country. 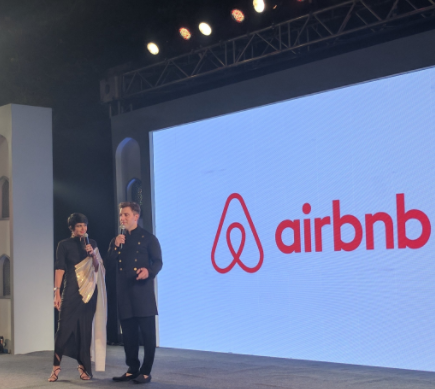 And Chesky’s visit seems to signify that Airbnb wants to double down on its India plans. Chesky went all out during his visit – he even briefly walked the ramp with the designs of Shantanu and Nikhil – and seems keen too tap into India’s billion-plus people. “We believe in India. We love India. India is magical!,” he tweeted.